Take your bodywork practice into the 21st Century. Change from a rehabilitative practice to a restorative one. Learn the latest on cutting edge life extension science, telomere repair, stem cell therapy and more. 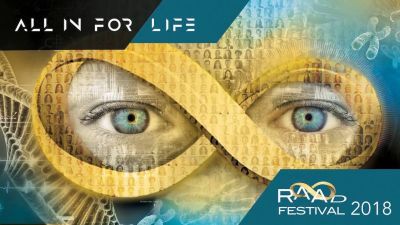 The largest event in the world where multiple methods to reverse human aging are presented by global thought leaders. Includes 20+ presentations, 3 organic meals, meet the speakers, networking and live entertainment. RAADcity Expo with the latest diagnostic tests, supplements, products, medical advancements, etc. Credits: 25 CE | Cost: $547 preregister, $625 after August 20, 2018.